Perhaps more than any other sport, Yankee football most closely mimics military activity. This hasn’t been been lost on the military nor that football has replaced baseball as the national sport. On the surface, it may be thought that before sporting events, people have always stood for the national anthem. While this may partly apply to the fans, it does not apply to the players. 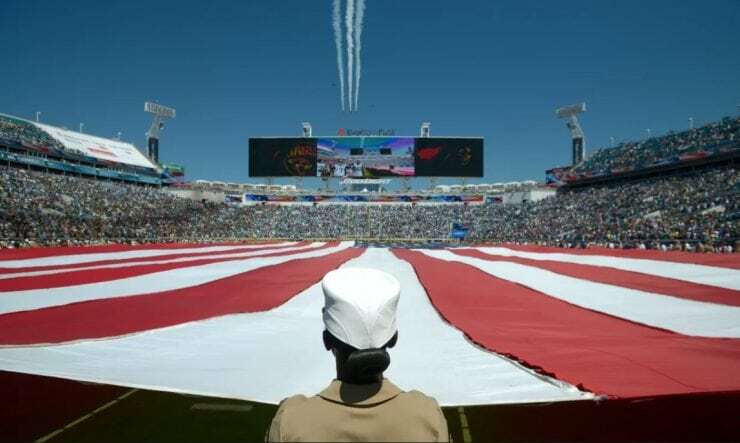 These articles show how the military spent over 10 million dollars in taxpayer money in 2009 to market the military to the NFL.